Winter is over so shake the snow off and welcome spring with a bang starting off with renovating your home. You wouldn’t want your house to look cold and dull at this season, would you? Well then, pack up your old stuff and have your house ready for this much anticipated festive of the year! Spring is the time of year that symbolizes new beginnings and new life, thus, it would be just perfect to give your home a makeover and embrace the spring breeze with a warm welcome. This simple alteration that you will do would surely make a big difference in your life and the decisions that you will make for your future. Having a calm and cheerful ambiance at your home is a great factor that could make your life better not only for yourself but also for your family. You can start from small renovations like in your bedroom or your closet, from there you could take one step at a time to finish redecorating the entire house. Looking for ideas this season is necessary and one of the most important steps in renovating your home. There are a lot of factors that you need to consider like the space, color and the materials that you will be using for the process. You should carefully consider other elements that are relevant as well such as lighting and other fixtures; make sure that it complements properly to your choice of design. Remember that hues could transform your home into a chic and beautiful work of art. Here are some concepts that you could consider this season. For this spring season, it would be best if you would use earth colors such as: green, blue, almond, custard or gray for your walls and floor. You can select from different palettes that would perfectly give your home a calm yet radiant effect. 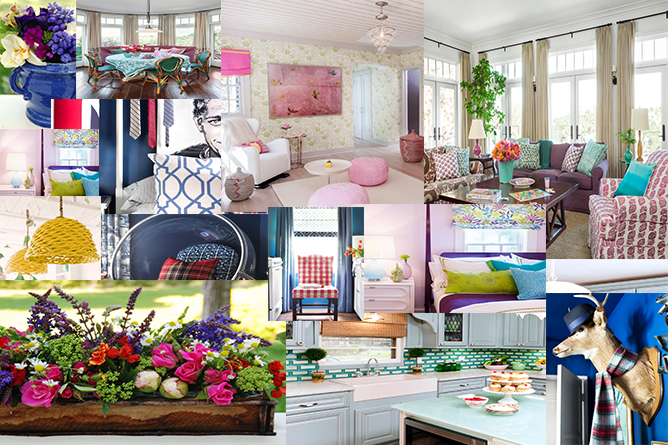 I have encountered a very helpful tip at Elledecor about pantone colors that are incredibly great for this season. Try making a do it yourself masterpiece and hang it as a wall art. Surely it would add a nature effect that brings out the spirit of spring. Let your imagination work! Discover the artist within you. What more could be beautiful than a beautiful bouquet of flowers that specially springs forth and blooms during this time of the year. Adding flowers inside your home or even outside would be perfect. You can place them at the center of the table, the porch, near windows or even at your backyard. It can even contribute to your health. To fully embrace spring, make sure to consider proper lighting to illuminate your home properly. This does not only involve electric lights but also of the sun’s rays that go directly in your doors and windows. Add decorations that would reflect the light in the entire room such as vases, frames and glass fixtures. Lastly, make most of your kitchen, bedroom, living room and your bathroom. Renovate it by integrating gold and metallic fixtures and decorations that will enhance the beauty of your space especially in the living room. For the bathroom, use spring inspired tile pieces. Your bedroom is your own personal retreat, so add earth colors like green. For curtains you can use white curtains or blinds to lighten up the room. Now, having everything said, you should be ready for spring anytime soon. So relax and have yourself a cheerful spring! Realistically, What If Pokemon Were Real?